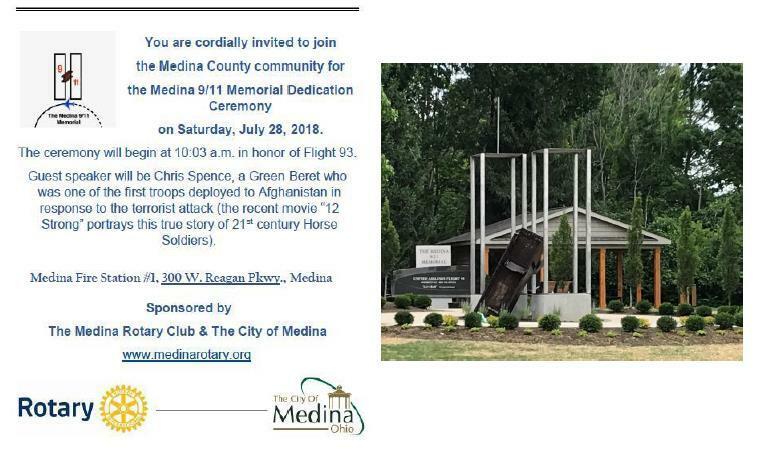 Medina County, this is Your 9/11 Memorial! Click above for details. Interested in Rotary? Start here!